Hasselback potatoes are one of the easiest appetizers/side dishes you can make that is both delicious and has a unique presentation. 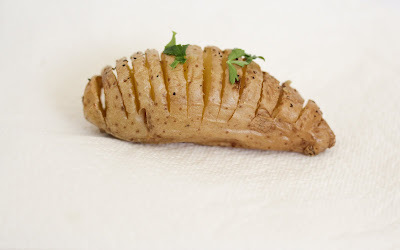 I first saw hasselback potatoes on several food blogs over a year ago. I put it on my to-do list, but kept forgetting to make them. Now that I’ve finally made them, I can’t believe it took me so long to get around to try it. 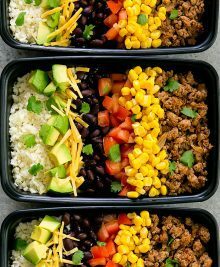 The preparation is simple. All you need is some potatoes, olive oil, salt and pepper and a sharp knife. You insert several slits inside each potato, until it is close to reaching the bottom, but you don’t want to completely slice through the potato. Then you season with some olive oil, pepper and salt, and set it to bake. When the potatoes are baking, they will fan out, creating an accordion-like effect. 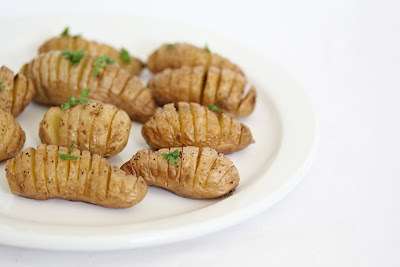 The name “Hasselback” is derived from the first restaurant in Sweden that served these potatoes. I didn’t plan on making mini ones, but it turned out those were the only kinds of potatoes I had on hand. I thought these bite-sized versions were super cute. The potatoes taste really good too. Hasselback potatoes are one of the easiest appetizers/side dishes you can make that is both delicious and has a unique presentation. Preheat oven to 425°F. Wash potatoes and then dry off with a towel. Using a sharp knife, slice slits into the potato until you reach about 3/4 of the way to the bottom of the potato. Continue to make these inserts across the potato length, spacing them about 1/8 inch apart. Place potatoes on a baking sheet. Brush the potatoes with olive oil. Then sprinkle some salt and pepper to taste. Bake for approximately 15 minutes, or until the skin is crispy and the inside of the potato is soft. Garnish with chopped parsley if desired before serving. I’ve never heard or seen Hasselback potatoes but I know that I would LOVE them! I just roasted some potatoes today too. If I had only read this post before chopping them up! I want to do this with mini potatoes…so cute! I never knew these potatoes were called “Hasselback Potatoes”! I saw them recently listed as “Accordion Potatoes” in *Christie’s Corner* and made them for a recent Mad Hatter-themed tea party for my sister. Everyone seemed to love them! 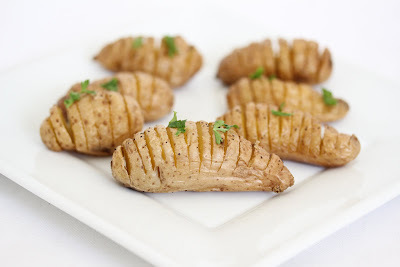 It seems if we are going to have potatoes then hasselback are the way they will be done, but didn’t think of using just little fingerling potatoes, and sure why not great idea. Thanks. 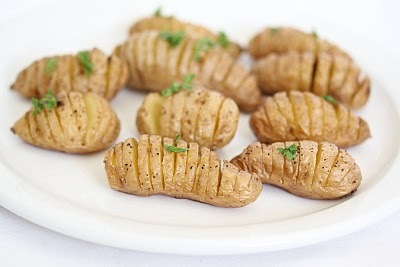 I’ve always wanted to try hasselback potatoes, but haven’t yet. 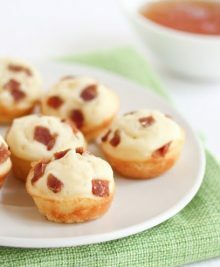 I just know I’d love them – maximum surface area for maximum crunch! 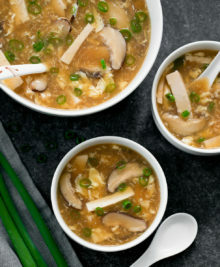 You should definitely try it. It’s like eating oven roasted potato wedges but in a much cooler shape. I like the small size. Makes them easier to eat a couple rather than giant ones.